Each year, Apple shuts down iTunes Connect for a week around the holidays to give its App Store staff time off from work. This year, iTunes Connect will be shut down from December 23 to December 27. While iTunes Connect is shuttered, Apple will not accept new apps or app updates, so all price changes and app submissions will need to be locked in before that date. 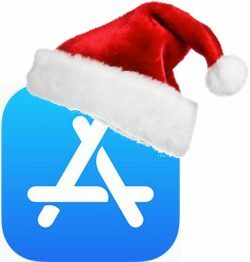 Developers often offer sales and promotions ahead of when the App Store closes for the holidays, and those sales remain available until the App Store re-opens in late December. Apple says developers can let customers know about promotions, upcoming features, and in-app events using the promotional text field available in iOS 11. While app store submissions will be unavailable, other iTunes Connect tools will remain accessible to developers throughout the holiday period. Unrelated, but I wish they didn't stop that 12 days of Christmas thing. They do every year. Not a big deal. We live through it each year. Means a lull in the people who love to complain that Facebook doesn't list super detailed change log notes with their latest app update. Oh the horror! Everything. Then they complained when the situation reversed. This is life. LoL.